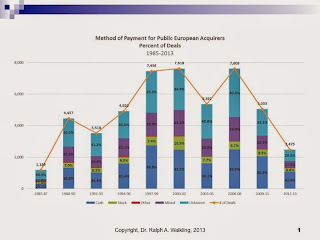 Next week, we are offering our Acquisition Finance Course in Amsterdam again. December is such a festive time to visit Amsterdam - they take the holidays seriously and it seems to be reflected everywhere you look from the Central Station to the Leidsiplein to the Canals to the small villages just outside the city. I really look forward to being there. Some of the things we'll be analyzing in detail next include understanding current market activity. As part of this we'll take a look at trends over time. 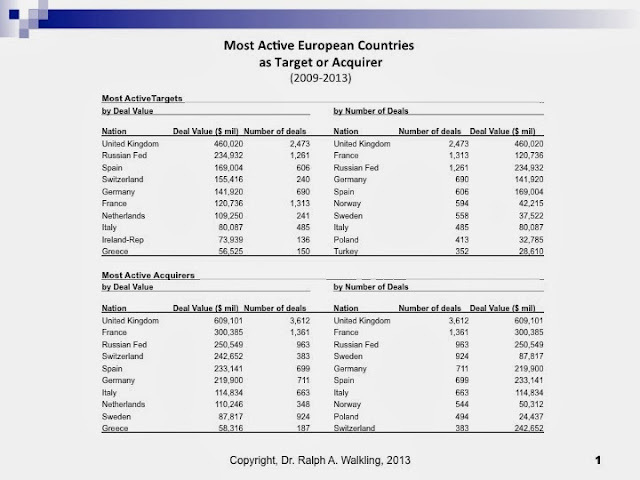 The slide below shows the Countries most active as Acquirers and as Targets over the past five years. The UK heads the list in Deal Value and Number of Deals.